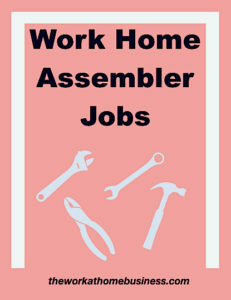 Don't Be Fooled By Work Home Assembler Jobs! Do these jobs really exist? Don’t Be Fooled By Work Home Assembler Jobs! Do these jobs really exist? For one thing, they don’t need any significant ability to do them. As a matter of fact, some companies will give a cut and squeeze glue job description. That is to say, if it sounds too good to be true, then it is best to stay away from them. Needless to say, Don’t Be Fooled By Work Home Assembler Jobs! 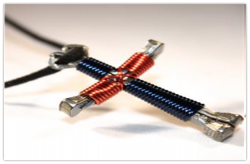 Nevertheless, Disciple’s Cross is a legitimate company that offers a Work Home Assembler Job opportunity. No doubt, you can make up to $2000 a month with the cool little crosses that you put together. In the event that you should ever want to get in on such an opportunity, remember due diligence is necessary. Most important is that you contact the company before you commit to doing this kind of business. Sure enough, I don’t want anyone to be fooled by companies that claim they have Work Home Assembler Jobs. That’s why the key focus of this post is on a company called Disciple’s Cross. Truly, I have spent much time researching and digging deep into finding real Work Home Assembler companies. Whew! the research was exhausting, and I am left to believe that not many of such companies seem to exist. For sure, Disciple’s Cross stands out as genuine. Certainly, this one is worth a try and it is not a scam. 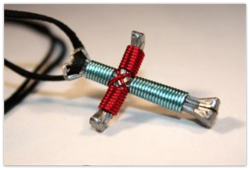 As he embarked on his Survivor journey, he wore one of the cross necklaces. Obviously, this piece of jewelry can be eye catching. Of course, many requests were made and the demand grew. For these reasons, Disciple’s Cross was founded. With the success of Disciple’s Cross, Pastor John is extending this opportunity to others. Therefore, if you want to work from home and benefit financially, then you can definitely do business with Disciple’s Cross. So you can be a part of this thriving assembler job opportunity as a producer. Unlike other assemble companies, you do not have to send back the completed products to the company. You can sell them on your very own website, at fairs or festivals, at book stores, and other online marketplaces. Even school clubs and sports teams are ideal because they always raise money to offset different expenses. Notably, the kit does not include some tools, and you need to purchase them separately. These other pliers can be helpful too. Clear coat acrylic: The company recommends “Delta Ceramcoat Gloss Exterior/Interior Varnish.” You can purchase this at a craft or fabric store. Likewise, you can even check online, and also local hardware stores. Ready to make $2000 a month with these cool little crosses? Click the link. Do you need more ideas? 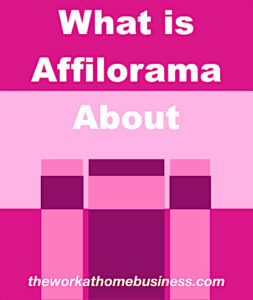 This book offers over 250 Home Assemble and Crafts Jobs. By the way, these necklaces are fun to make. Once you have the right tools, they are easy to complete. Moreover, you can finish one in just a few minutes. The size of each cross is about 1 & 1/2 inch tall and 1 inch wide. Another key point to note is that this company does not have any quotas that you have to meet. So you do not have to worry about minimum amount to purchase. Neither is there a monthly fee. If for any reason, Disciple’s Cross is not what you like, you can learn how to create your own business from home with Wealthy Affiliate, the most popular online training. Specifically, you can start by building your website free and sell your products. If you really want even more advice, I highly recommend you check out Wealthy Affiliate. These guys are the pros on how to build your website, and have a successful online business. Among the many online training platforms, Wealthy Affiliate is the most popular recommendation to build a successful business online. It gives you step by step training to build your website and shows you how to monetize it. Even though they offer a free starter, you can upgrade to there premium and get access to all they offer. Keep in mind that the kit does not come with tools. Who else wants to make $2000 a month with these cool little crosses! Given these points about Work Home Assembler Jobs, I highly recommend Disciple’s Cross. Surely, there are several companies on the internet offering these opportunities. Certainly, most of the names don’t even exist at the time of writing this post. Click on the link they provide and it takes you to something totally different. Instead, you get a list of other links to click on. Keep in mind, due diligence is key. Nice review of the Disciple’s Cross business. I am impressed with how the business began. Thanks for visiting. Yeah, Disciple’s Cross certainly has an interesting beginning.